¿Versión en ESPAÑOL? Click aquí. OPEN DEALS for 2019 WORLDWIDE. Contact now! 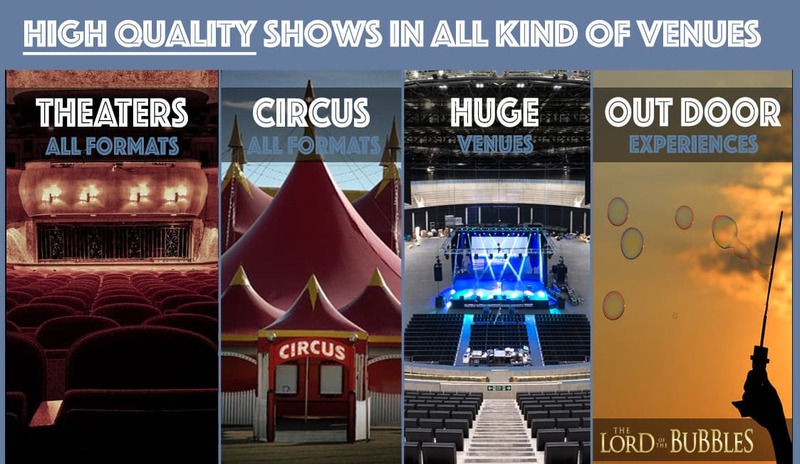 FULL SHOWS or SINGLE ACTS. 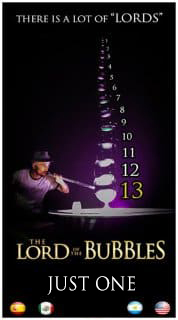 A GREAT VARIETY of bubble acts created for the enjoyment to all kind of audiences, without words, that hypnotizes the kids with extraordinary abilities and amazes the adults with a refined technique. FULL SHOW NEEDS SOLUTIONS any format ( S, M, L, XL, XXL ). Whether you are an artist, producer or a simple spectator, we invite you to enjoy several complete acts from the comfort of your device. Next are just a few examples coming from our VAST repertoire formed by several HOURS of totally different bubble stuff.